South Africa will remove a clause from its Mining Charter that includes naturalised citizens in the group of people who should benefit from attempts to more evenly redistribute the country’s mineral wealth. 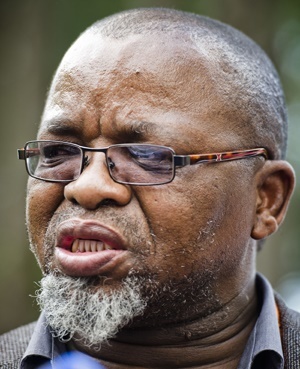 Mineral Resources Minister Gwede Mantashe is in talks with companies, unions and mining communities on an update to the mining charter after a version published last year by his predecessor prompted legal challenges from the industry. Among the criticisms of the 2017 charter was its recognition of black and other historically disadvantaged people who had taken citizenship after being in the country for long enough. Opposition parties suggested that the clause was included to benefit the Gupta family, who are friends with former President Jacob Zuma. The family, which has been accused of using its ties to influence government decisions for their benefit, moved to South Africa in the 1990s and some may have become citizens. Everyone has denied wrongdoing. "We want to cut out anything that looks suspicious in the charter," Mantashe said in an interview on Tuesday. "We’ll take it out because it attracts attacks on the charter, it sounds like a Gupta clause," he said. The reworked mining charter will not be an entirely new document, but will rather be based on the previous paper, Mantashe said. The Chamber of Mines, which is a lobby group representing producers, said last year that the charter produced in 2017 threatened as many as 100,000 jobs. It agreed in February to postpone a legal challenge to the new rules after President Cyril Ramaphosa, who replaced Zuma in February, pledged to find a solution to the dispute.